Burning Man takes place annually the week before Labor Day, attracting some 70,000 people to a dry lake bed 100 miles east of Reno. 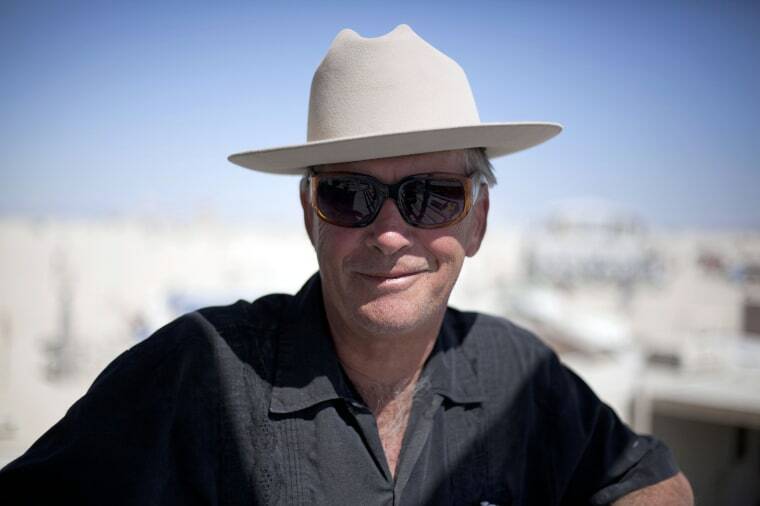 SAN FRANCISCO — Larry Harvey, whose whimsical decision to erect a giant wooden figure and then burn it to the ground led to the popular, long-running counterculture celebration known as "Burning Man," has died. He was 70. His brother, Stewart Harvey, said in a post Saturday that the two were adopted by farmers "Shorty" and Katherine Harvey and grew up outside of Portland, Oregon. The brothers, who were not related by blood, were extremely close. After the 1996 troubles, Harvey had a falling out with John Law, who had co-founded Burning Man with him and who sued to have its trademark placed in the public domain. They settled out of court and Harvey retained control. CORRECTION (April 29, 2018; 6:15 p.m. ET): A previous version of this article misstated the year Larry Harvey moved to San Francisco. He moved there in 1974, not in 1965, when he was 17. It also misstated the year in which the Summer of Love took place. It was 1967, not 1965.